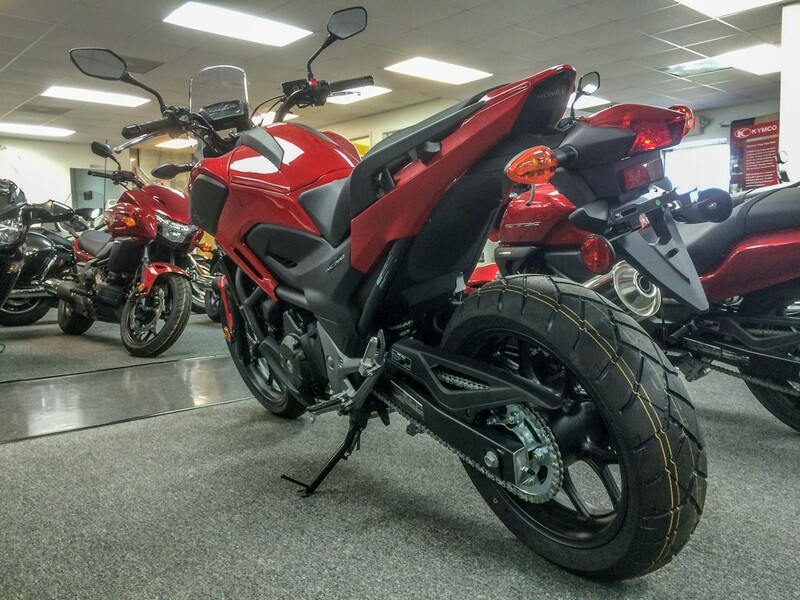 I was petting motorcycles at Rock Hill Powersports today and stopped to take a closer look at Honda’s NC700X. I had heard about this motorcycle but never had the chance to throw a leg across one before. I find this motorcycle very interesting because its multifunctional, which is an interesting concept in the world of specialized motorcycles. I own three motorcycles, a cruiser (Harley-Davidson Fat Boy), a naked street bike (KTM Duke 390) which I’m modifying to go off-road and a Royal Enfield Thunderbird 350, which I’m going to call a village motorcycle, simply because I enjoy it only when I’m riding it not more than 60 kmph on village roads. Anything more than that and the whole bike starts rattling. 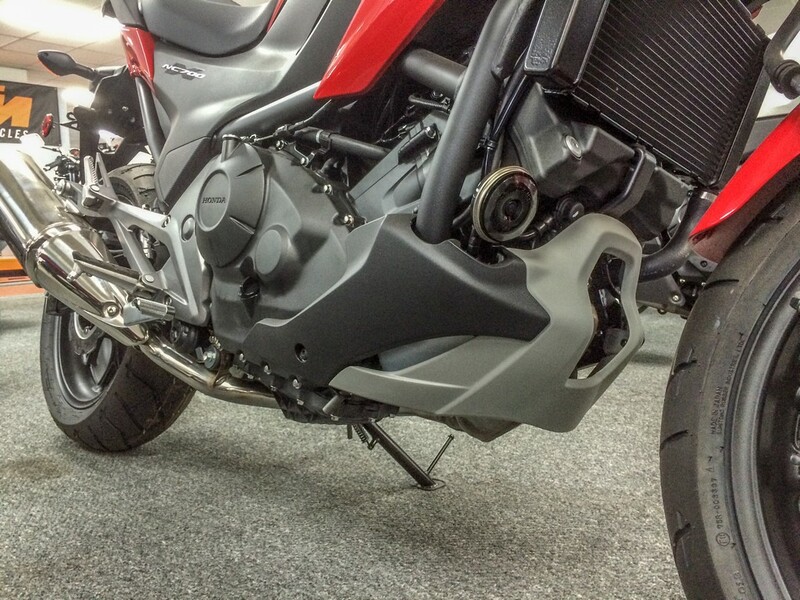 The Honda NC700X is a cross between a street and adventure motorcycle. 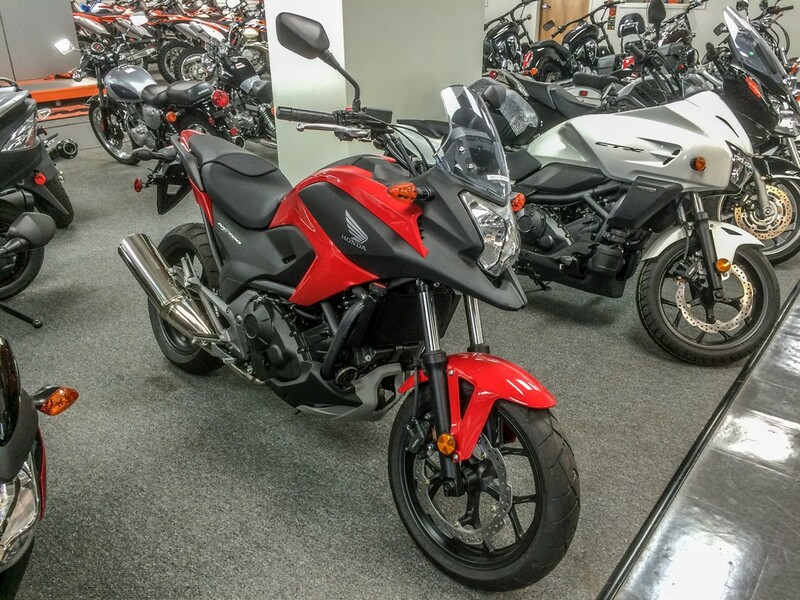 It’s not too tall, big and heavy like a regular adventure motorcycle and neither is the riding position too aggressive like a street bike. The ground clearance is quite decent and it comes with a skid plate that lets you know its ready to be ridden off road. 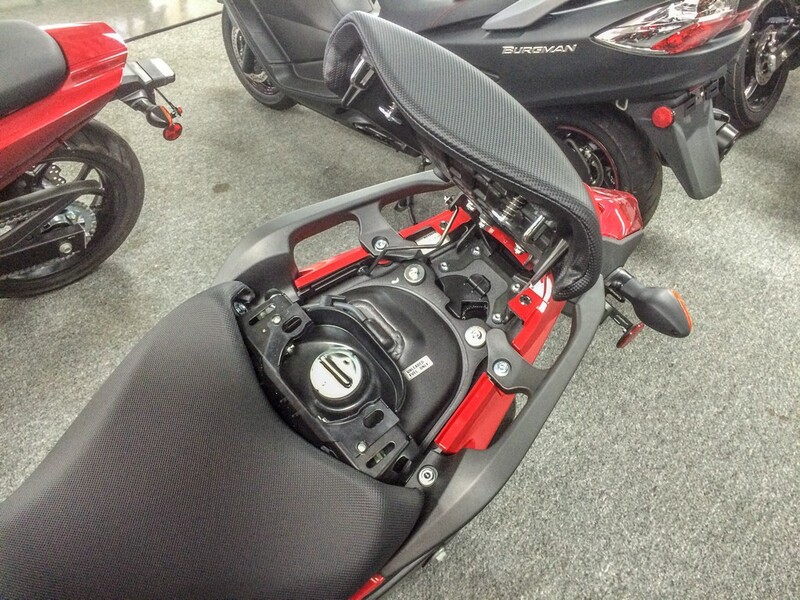 The motorcycle comes with alloy wheels and street tires, which I found odd. Common sense dictates that dual purpose tires would make most sense on a dual purpose motorcycle. The engine is almost horizontal thereby pushing the weight further behind, aligning itself more with the rider’s center of gravity. This is good because the rider is bound to feel more in control on tight corners. 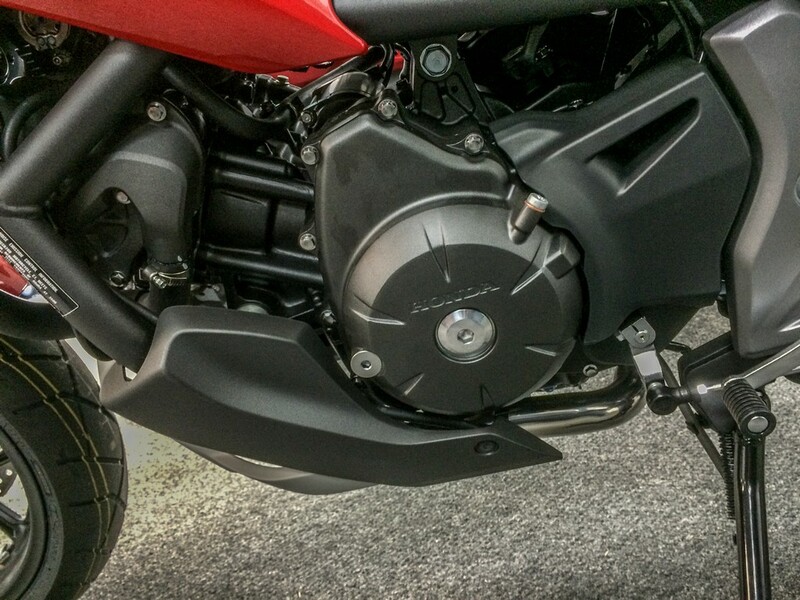 The rider foot pegs are pushed back like a street bike, but not too much. 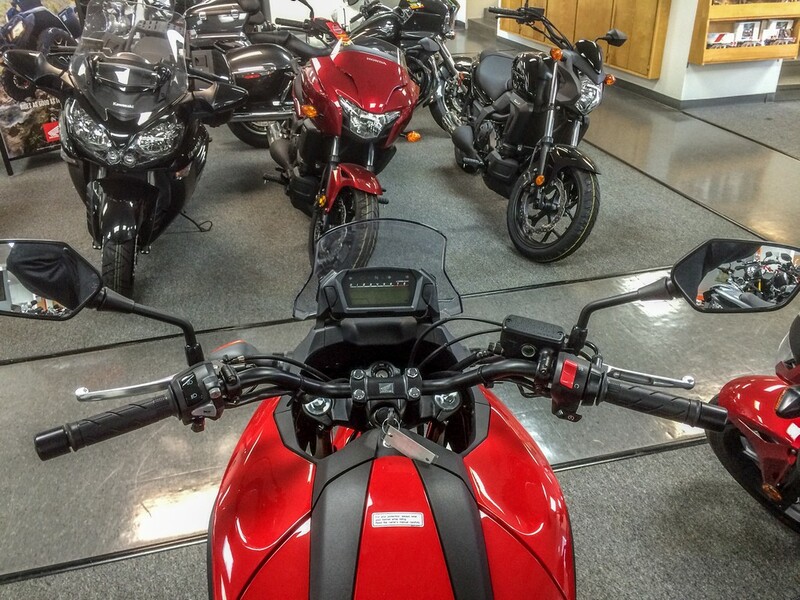 The handlebar is wide like an adventure motorcycle and yields an upright commanding view of the road ahead. But the most interesting thing of this motorcycle is the helmet sized storage right where you would expect the fuel tank to be. This explains why the engine is mounted flat. They needed to make space for storage and decided that the best way to do that was to put the parallel twin engine to sleep. 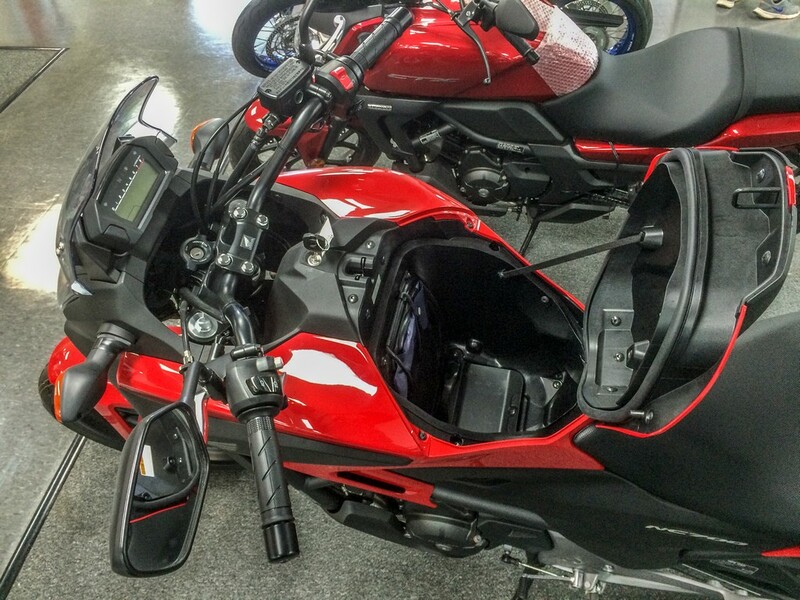 This also eliminates the need for a tank bag. But where is the fuel tank? Well, its under the pillion seat. The whole point of this motorcycle is use it to commute on weekdays and take it out for long rides and even off road on weekends. That’s why you have the storage space for your helmet or even groceries and the high ground clearance and adventure style riding position for long distance touring. It’s a pity they weren’t offering test rides. So in that sense, this review is incomplete. But I absolutely love this multifunctional motorcycle concept and hope Honda gets this motorcycle to India. I can easily see myself replacing my Duke and Enfield with a dual purpose motorcycle like this. My wife can’t figure out why I need three motorcycles and I’m having a hard time explaining to her that each motorcycle has its own purpose. 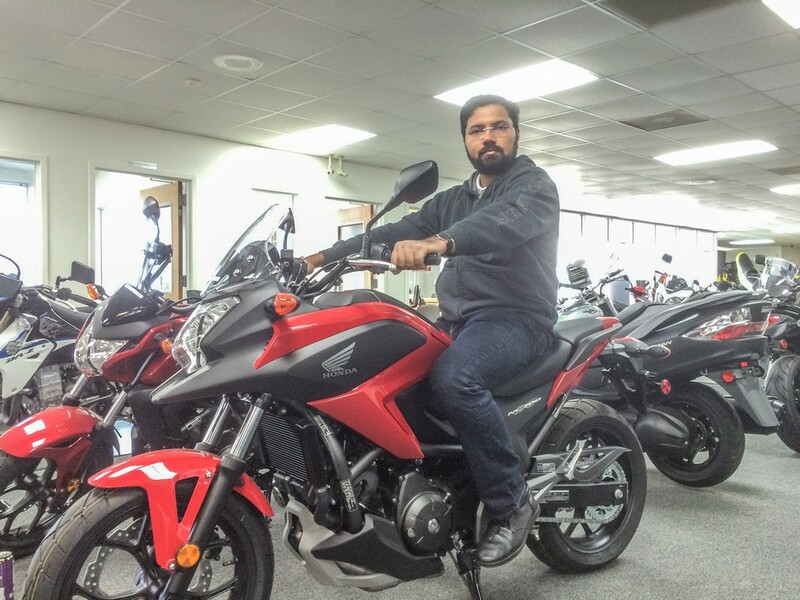 The Honda NC700X would not be able to replace my Fat Boy though. I’m sure you can cruise on it if wanted to. But it doesn’t have the riding posture and feel of a cruiser. 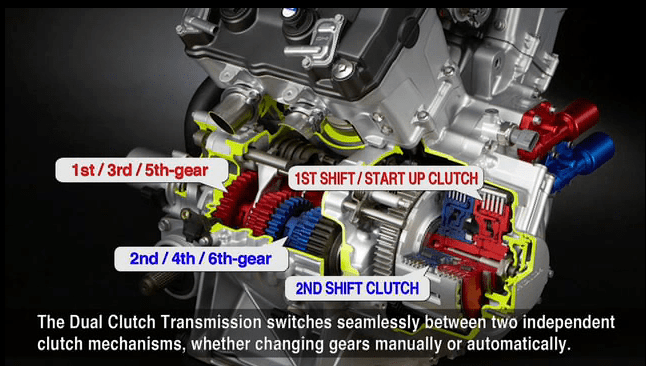 The Honda NC700X comes in two versions – a conventional manual six-speed clutch-transmission and an automatic Dual Clutch Transmission (DCT) which is bundled with ABS. DCT ensures a smoother ride in city traffic. The loss in speed while changing gears in minimal and this eliminates the irrigating helmet bump when riding two up in city. All in all, I feel the Honda NC700X is a nice package, thoughtfully engineered to perform well under different conditions.